As the largest college within the UF Health academic health center, the UF College of Medicine is home to thousands of faculty, students and staff committed to improving the health and well-being of people across the globe. Where clinical excellence, humanism and patient-centered care are the center of students’ education. The UF School of Physician Assistant Studies offers a continuous 24-month, full-time master’s program to train the next generation of PAs. A variety of degree programs are offered aimed at translating discoveries from the lab to the patient. 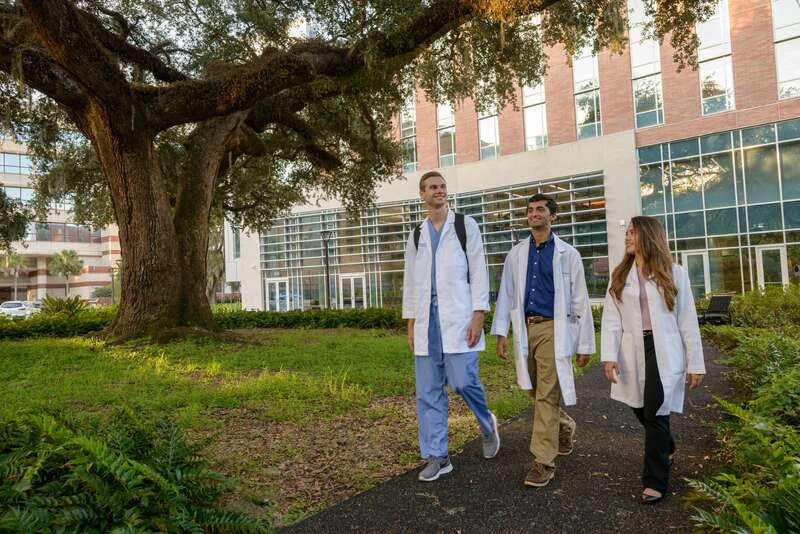 With 75 ACGME-accredited housestaff programs, the UF College of Medicine provides graduate medical education through its partnership with the UF Health Physicians and UF Health hospitals. The second annual Distinguished Lecture Series brings two high-profile scientists to the UF Health. UF’s health colleges and graduate programs ranked among nation’s best. Diversity and inclusion are core values at the UF College of Medicine. The Celebration of Diversity Week was designed to honor those values and explore opportunities to work within our community to promote cross-cultural understanding and address health care disparities. Associate professor in the University of Florida College of Medicine’s Department of Ophthalmology, discusses his research on the pathways involved in the loss of sight due to inherited retinal degenerations. Magazine for alumni, faculty and friends of the UF College of Medicine. Your UF College of Medicine news resource.